Frequently, we are told by the right that progressive taxation is bad policy, that it diminishes the motivation of entrepreneurs and “job creators”. But what is the relationship between money and motivation? Does more income lead to higher productivity? It turns out, if you phrase the question correctly, the answer is already well known, and the implications of that answer comprise today’s topic. The 50p tax rate should be abolished immediately. Serious work suggests that it raises a trivial amount of money and the long-run effects may be such that no money is raised at all. The longer this measure stays in place, the less credible are the government’s assertions that this is a temporary tax and the harder it will be to keep entrepreneurial talent in Britain. This would indicate that money is such an effective motivator that a great many people would rather leave the country than pay a higher tax rate. However, if you phrase the question a little differently, everything changes. Far too many companies work on the basis that money motivates. But money is not a motivator. If you give people more money you might get a quick lift in productivity but the effect of that dies off incredibly quickly. By and large, that is not what employees are there for. How tasks are structured has a big impact on employees’ commitment and motivation. Employees are motivated by having some involvement in decisions that affect them, and being given a degree of autonomy and freedom to think about how to do things within a given framework…I think money is important in that you need to pay market rates for great people, but beyond that there are far better ways of motivating people than simply giving them more of it…What people really want in the workplace more than anything is flexible working. So give them flexible working arrangements. Let them negotiate with you about arrangements that suit their family but which also suit the work they do. They will love you for that. Typically, these are two key things that employers and “job creators” always have, because they run the companies and are their own bosses. This isn’t just The Telegraph either; Forbes agrees too, as do many, many others. If we are talking about macroeconomics and the right is taking the perspective of the entrepreneur against the state, it’s one way, but if microeconomics is our subject and the right is taking the perspective of the entrepreneur against the employee, it’s the precise opposite. What do both the macroeconomic and microeconomic cases have in common? In both cases, the outcome of the right’s stance is the same–more wealth is retained by entrepreneurs and employers with less of it lost to the state or employees. Entrepreneurs and employers should know and understand this, and consequently support their own long-term interests by supporting lower wages and higher taxes on themselves. 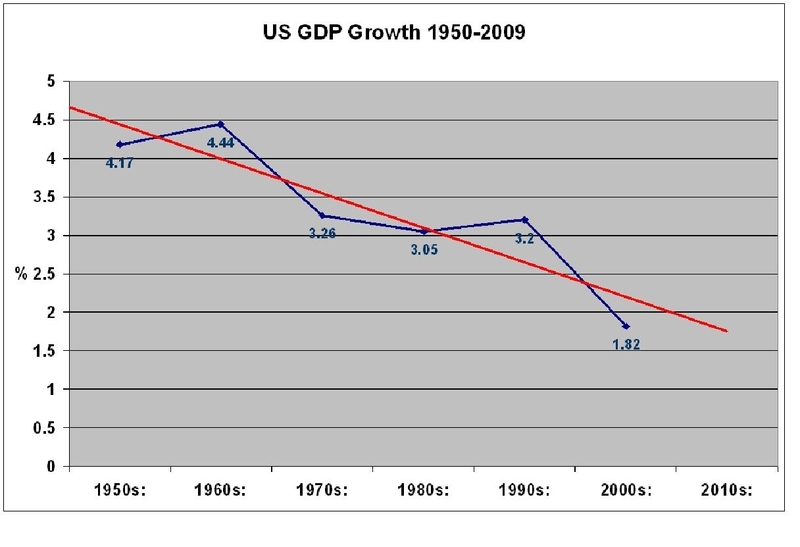 A decline in growth rates is a decline in the productive improvement of the economy for everyone, rich and poor. It may very well be that the economic policies designed by the right to service entrepreneurs, employers, and “job creators” may in fact be the very policies that are diminishing our growth, innovation, and productivity in the long term. In other words, the rich are economically shooting themselves in collective foot, and we are all feeling the impact of their bad investment in themselves at the expense of the wider economy.